The new Smart VacPrep is an advanced six-port system that utilises a vacuum to prepare samples by heating and evacuation. Each of the ports may be operated independently. Samples may be added or removed from degas ports without disturbing the treatment of other samples undergoing preparation. 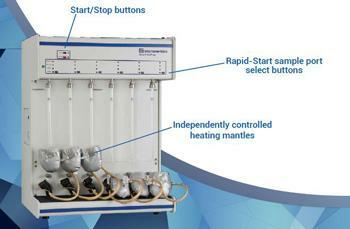 Degassing automatically terminates when the samples have completed all programmed steps.